Hi, Iï¿½m Ronan. Iï¿½m named after a handsome journalist because of my inquisitive nature and good looks. 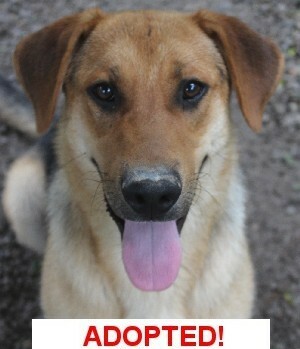 I am a young German shepherd mix who is friendly and likes to play. However, I need a home where Iï¿½m the only one, no other dogs or cats please. Iï¿½ve got lots of energy so if youï¿½re part of a big family or a single active person, Iï¿½m the one for you!